The International Trade Commission (ITC) has announced that it will review an earlier ruling in a patent dispute between Kodak Eastman and mobile handset makers Apple and Research in Motion (RIM). 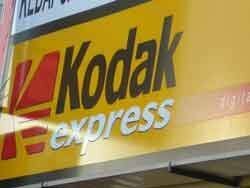 The ITC initially ruled that Apple and RIM had not violated any Kodak patents, but Kodak has been pushing for the review in the hope that it will receive more than $1bn in royalties if it wins the patent battle. Kodak has received close to $1bn from Samsung and LG in a settlement related to the same patent on image-preview technology. Both companies settled before the ITC ruled on the case. Kodak sued Apple in January 2010, alleging that the iPhone had infringed patents relating to low-resolution image previews. Apple countersued. In January, an ITC judge ruled in favour of Apple and RIM, which said the patent was invalid because it was a variation of an earlier invention. Kodak's patent portfolio has become an important source of income as the film camera market has declined. The company licenses its digital imaging technology to about 30 companies, including LG, Motorola, Nokia and Sony Ericsson. Kodak shares spiked about 20% in extended trading on Friday after closing 8.6% higher as the company moved closer to a possible payout, according to Reuters. A final decision by the ITC is expected in May.